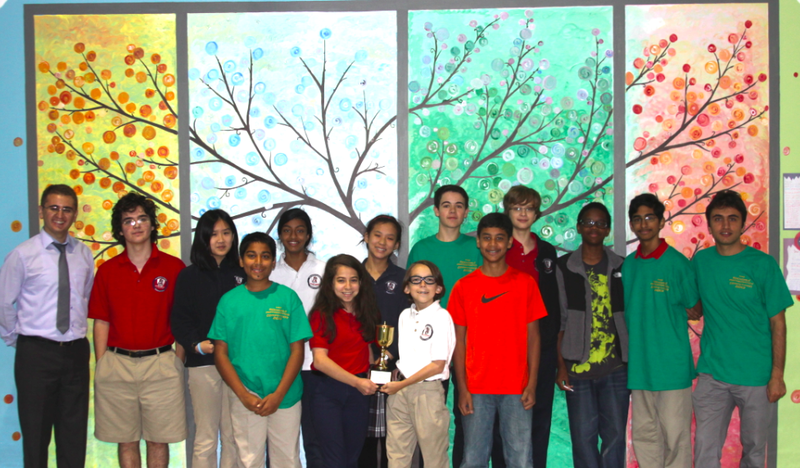 On Saturday, October 26, 2013,Fulton Science Academy Private School Math Olympiad Team students competed at Rockdale Math Competition in Conyers, Georgia and won 1st place not only in their division but also overall among all middle schools. FSA Math Olympiad students who attended this competition includes Hasan Unal, Araneesh Pratap, Brian Shoffeitt, Jean Moorman, Julian Hamelberg, Aditya Choudhari, Vikram Ruppa-Kasani, Mira Mutnick, Elaine Wen, Katherine Li, Charlie Furniss and Karuna Kumar. Congratulations to these students, their parents and FSA Math Olympiad Team coaches Mr. Tuzen and Mr. Seker for this wonderful achievement. Way to go!